Providing telehealth, or telemental health, services is an opportunity for mental health professionals to expand their practice, meet the expectations of an increasingly technology-savvy patient/client population, and to help meet the needs of underserved populations. You will, however, need to be knowledgeable about requirements that are unique to telemental health to ensure that you are properly prepared – including being knowledgeable about both clinical and regulatory risks. Also, you will need to document to some insurance companies that you are properly prepared in order to bill for telemental health services. 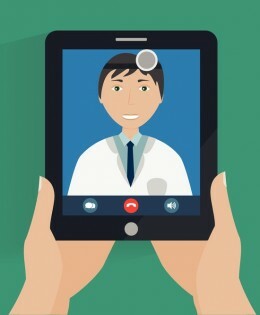 There three primary issues that you will need to address, over and over, as you go through the process of getting ready for telemental health are: 1. documenting that you have training in providing telehealth; 2. documenting that you have HIPAA-compliant technology, and 3. documenting that you have telehealth-specific office and safety policies. This first posting focuses on training resources. You will need to research telemental health-specific practice requirements for your malpractice insurance company and your insurance payers. Also, you may wish to contract with a company that providers telehealth referrals and helps you with a telehealth platform, scheduling and billing. Many- probably all – of these organizations will require that you can attest to having completed basic telehealth training. In addition, you may want to obtain more specialized training for providing telehealth services to specific populations, such as rural communities, addictions services or in medical settings. The following is a list of the providers of telemental health training with the best reputations and resources. All provide basic introductory training. In addition, they offer more advance training for certification as a telemental health specialist, specialized training for working with specific populations, or specialized training for using specific therapy techniques for telemental health. American Telemedicine Association (ATA). ATA membership costs $235 per year, for individuals, $75 for students, and includes access networking resources, free videos and webinars, access to online discussion groups. You do not need to be a member to buy their online training, but membership does enable access to training discounts and “premium” resources. Some organizations may “recommend” (but not require) that you have completed the ATA online course Delivering Online Video-Based Mental Health Service. This is a 3-hour online course that costs ATA members $199, and nonmember $249. Telehealth Certification Institute (TCI). TCI offers frequent online webinars, numerous online training videos, and several sets of course work that that provide certification in providing specialized telemental health services. TCI is an American Psychological Association approved CE provider, so courses may be applied towards CE requirements for psychology boards that accepts APA-approved CE training. CE credit for other professions is also possible. The Telebehavioral Health Institute (TBHI). TBHI provides online webinars, some of which are free, online training videos and online certification courses. Marlene Maheu, PhD, is the Executive Director, and is a leading authority on telemental health issues and training. She does many of the TBHI presentations. TBHI currently is offering Introduction to Telemental Health Theory and Practice, a 6 hour online course, for $149, with six months access. TBHI is an approved CE provider for several professional organizations, including APA. TBHI also has a free online newsletter. One cautionary note: all of these organizations are very entrepreneurial – if you sign up for anything, you will get frequent emails about telemental health issues and developments, webinars, consulting, and the rest of their services. It is easy to unsubscribe, if you find them to be a nuisance. Of course, you may be able to attend an in-person training in you community, or one provided as part of a professional conference. You really should not try to start with telemental health services without getting training – you would be putting yourself at risk due to the clinical and regulatory risks (which are manageable, with proper training). In any case, organizations that you will deal with as you get set up will require it, so it is wise to be proactive about completing the training as your first step towards getting set up to provide telemental health services. Next article: what you need to know about telemental health technology requirements and resoures. 2 favors to ask. Could you please sign me up for your MH Concierge email? Secondly, are you aware of which health insurance companies do or do not require formal etherapy training and if any of those that do are specific on which training is attended? Thanks to Barbara for asking an excellent question. I have confirmed backchannel that she has been able to register for the MHConcierge blog successfully, and she practices in MN so I can provide MN-specific info. I have contacted every insurance company that I am aware of that functions in MN. As far as I can tell, most do not require formal training. Some require that you attest to having had training, and recommend a particular popular, but expensive, online course. It is, as far as I can tell, a recommendation, not a mandate, to take this course. The bottom line: we are dealing with a fluid, evolving situation in regard to telehealth/telepsychology/telebehavioral services. When in doubt, check with the insurance companies that you do the most business with about their specific requirements. Even if they do not require training, it is still advisable, at least for risk management, to get it on your own, and in my post I provide some resources.